Hello it’s Angela here to share a card idea with you. 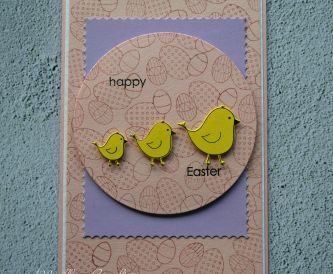 I wanted to show how versatile the Papermilldirect cardstocks are and try out a new die set and embossing folder. Today I’m using the Ivory hammered card for some easy stencil work with distress inks and a spot of gold foiling. 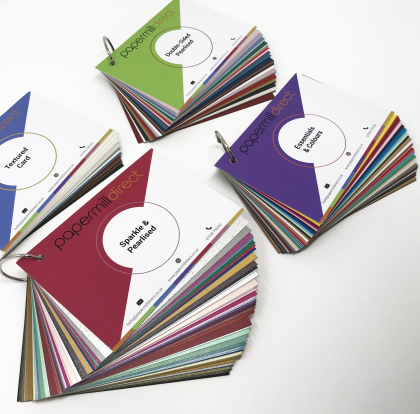 The Buff smooth card has always been a favourite and here it gives a fantastic realistic wood effect when die-cut, embossed and inked. 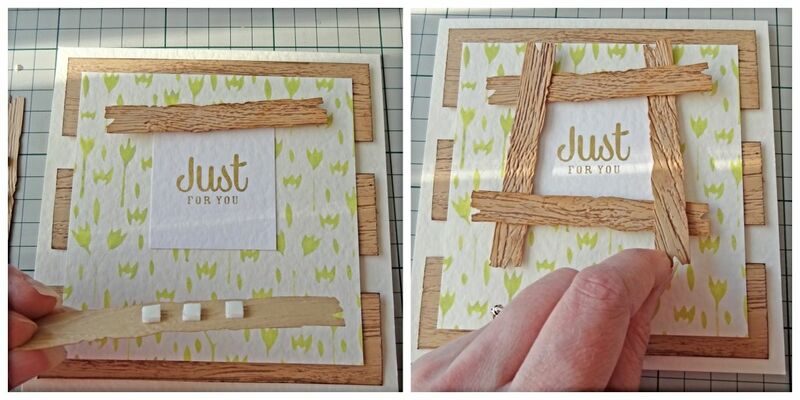 Cut a piece of PMD Buff card to fit the ‘Lumber’ wood effect embossing folder. Randomly dab Antique Linen and Tea Dye distress inks over the surface of the card. 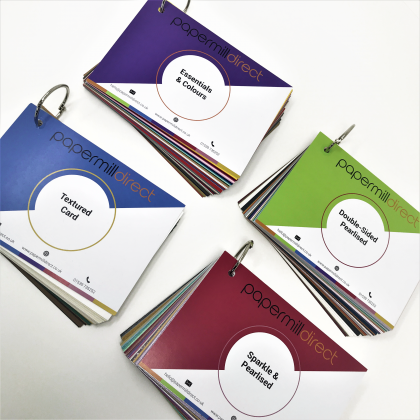 Open up the embossing folder and apply rich cocoa brown ink all over the inside top of the folder, pop the buff card inside and run through your embossing machine (or die-cutter). 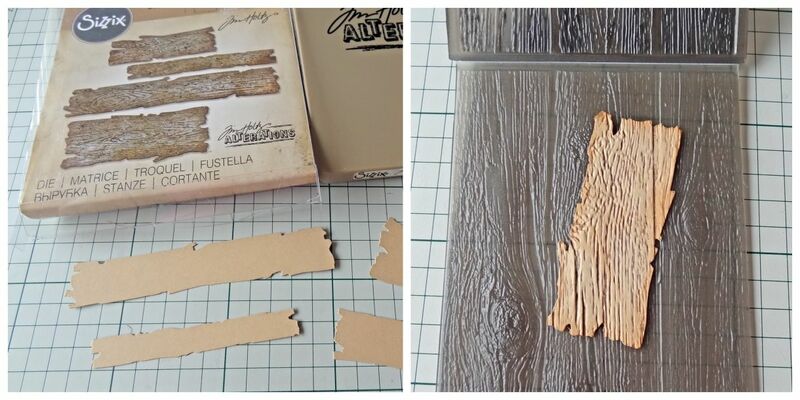 Remove card and trim into 4 ‘planks’ approx. 135mm x 35mm. Ink around the cut edges using rich cocoa ink. 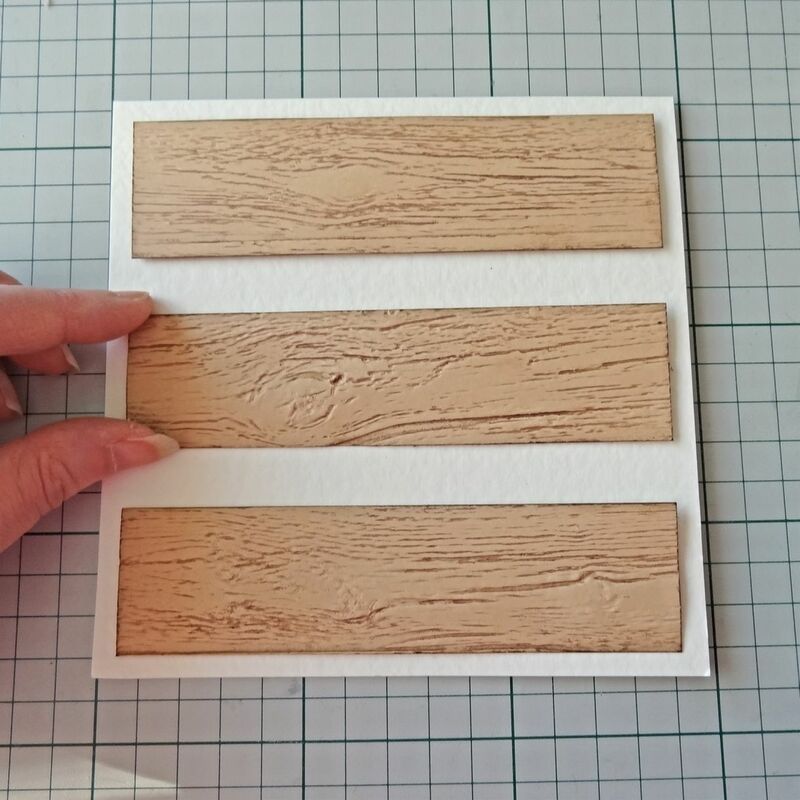 Adhere the 3 planks across the front of a PMD large square Ivory hammered card blank, using 3D foam pads to raise the planks. 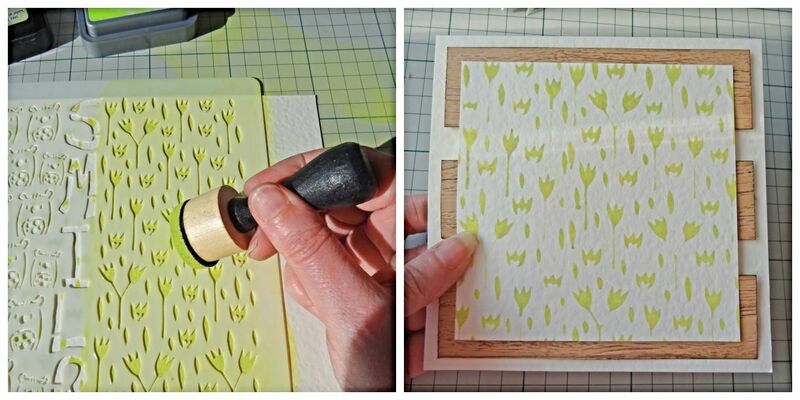 Place the stencil over a piece of Ivory hammered card and apply green coloured distress inks through the stencil. I’ve used Twisted Citron and Shabby Shutters inks and spritzed a little water onto them. You may need to move the stencil to cover the whole piece. 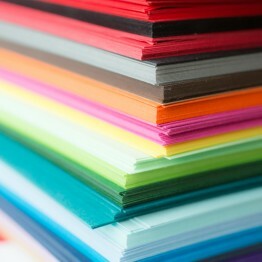 When ink is dry, trim card to approx. 120mm square and adhere to card front centrally on top of planks. 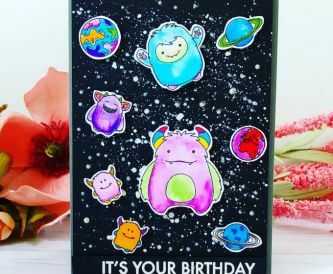 Select a sentiment from the foil transfer sheet and carefully apply it to PMD White Hammered card, using the applicator to smooth the glue sticker so it transfers to the card fully. 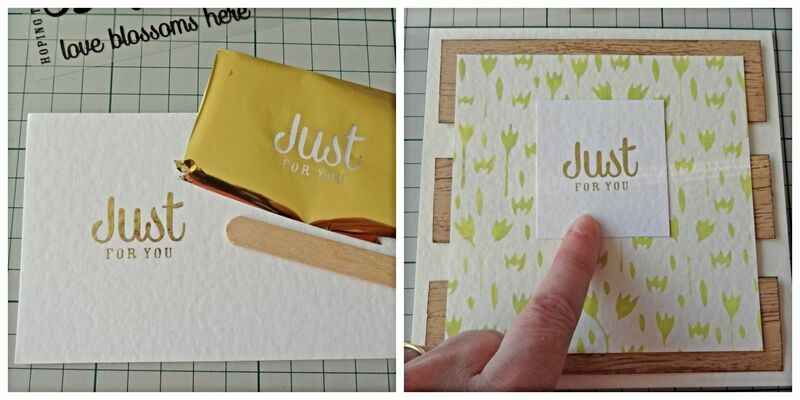 Remove backing and then lay a piece of gold transfer foil over the top, use the supplied tool to gently press and burnish all over the top, lift off waste and you should have a lovely gold sentiment. (If it’s missed a bit, simply place more gold foil over it and burnish again). Trim sentiment panel to approx. 60mm square and adhere to top centre of stencilled panel on card front. 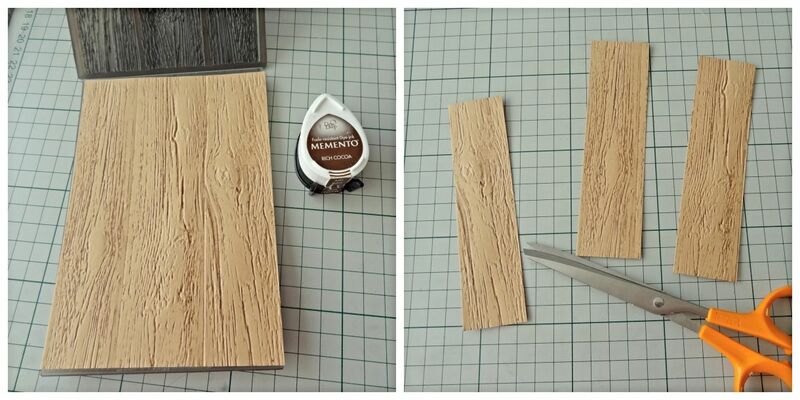 Using the Planks Die cut 4 of the long thin planks (95mm x 12mm) from PMD Buff card. Randomly dab with Antique Linen and Tea Dye inks as before. 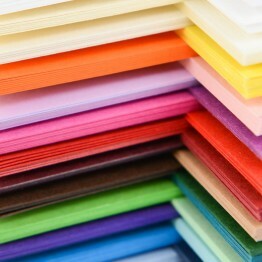 Again ink the inside lid of the embossing folder with rich cocoa ink and emboss the 4 die cut planks. Adhere the planks around the sentiment using 3D foam pads to raise them. 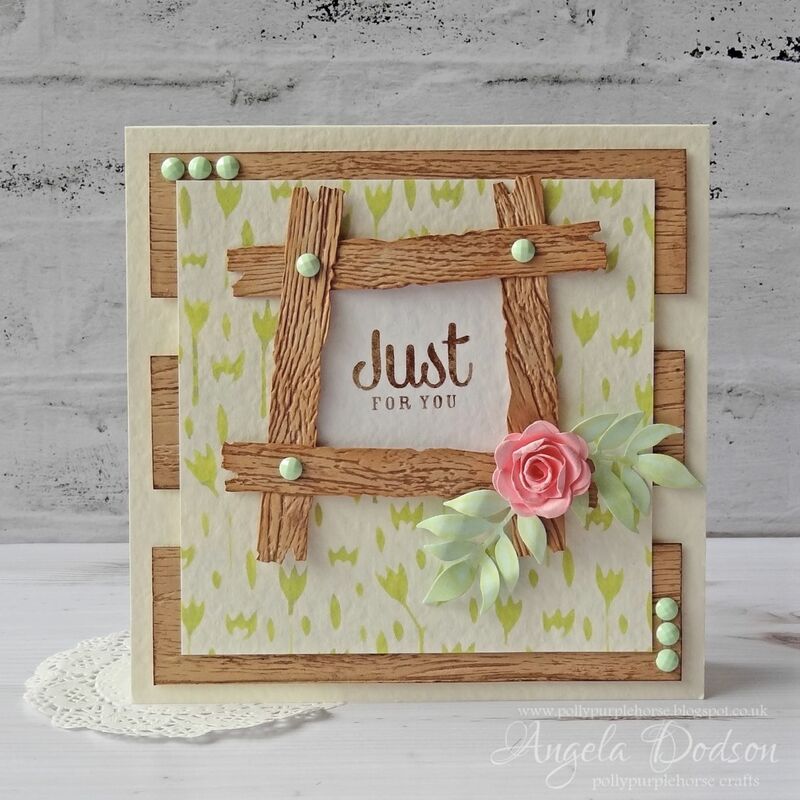 Interlocking the planks at each corner adds extra interest to frame the sentiment. 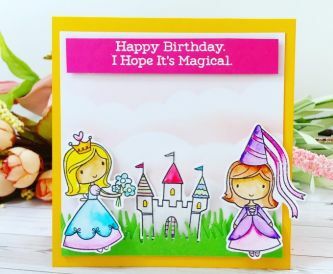 Die cut a small rose from PMD Pastel Pink, roll it and add some sparkle pen to shade, gently distress rose in your fingers for a more natural look. 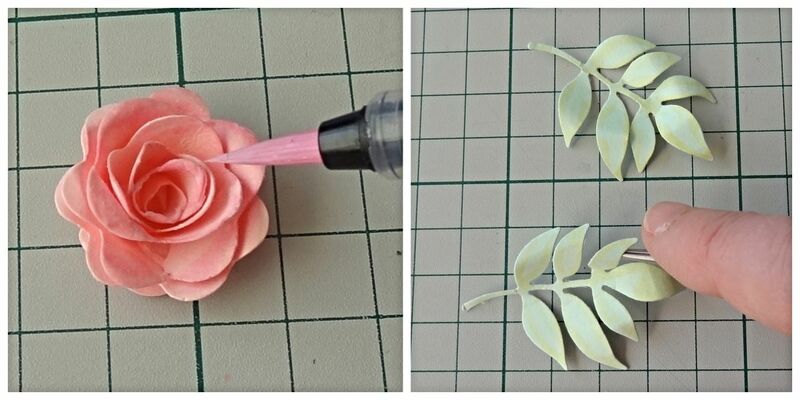 Die cut 2 leaves or foliage from PMD Pastel Green card, shade with sparkle pen and shape using a tool or your fingers. 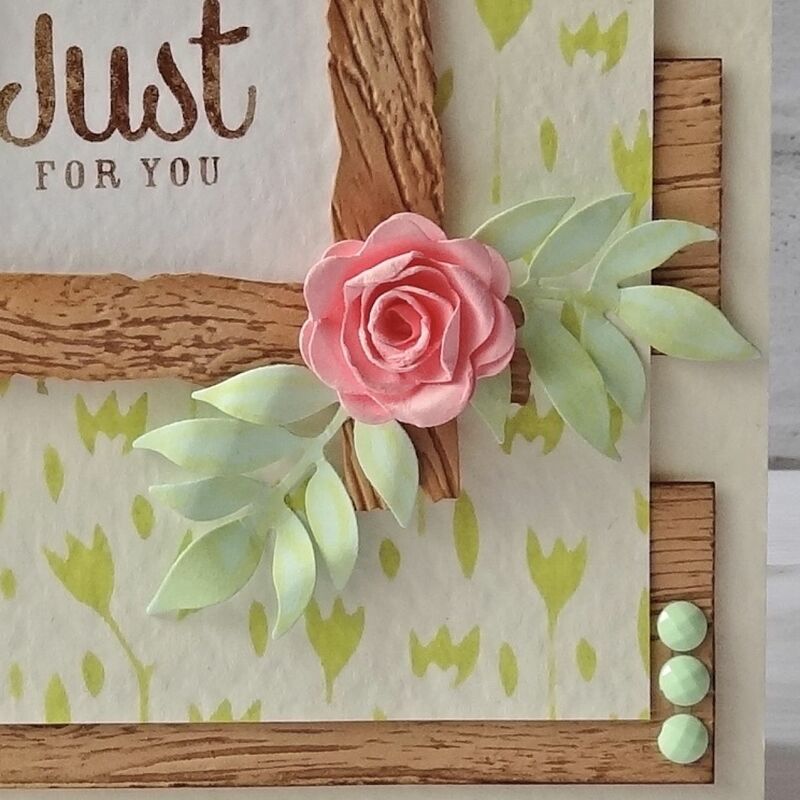 To finish, adhere the rose and leaves to the frame at bottom right and embellish card with pastel green adhesive gems. 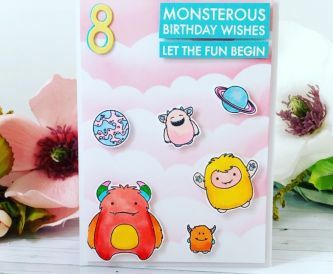 I hope you have been inspired to try out some effects with your papermilldirect Cardstocks and don’t forget to share your makes over on the facebook or instragram pages, we love to see what you have been making too!